Gripping new details of the rescue of the downed Russian Su-24 pilot have been revealed. The details are straight out of the movie “Black Hawk Down,” and reveal how Russian Marines saved the pilot in a breath-taking frontline op involving a fierce shootout with militants. Cpt Konstantin Murakhtin, who escaped death after his jet was attacked by a Turkish Air Force F-16, parachuted into the middle of territory held by hostile Syrian rebel fighters, making any effort to save him incredibly dangerous. His fellow pilot Lt Col Oleg Pershin was reportedly killed by Turkmen militants in the air even before landing. Murakhtin was fortunate enough to land safely, but his position was directly in the line of crossfire from the Syrian Army and terrorists. He activated a life beacon and could do nothing but wait for help. 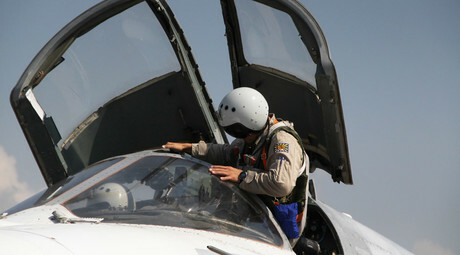 The Marine rescue team sent to save the pilot left Russia’s Khmeimim airbase minutes after the Su-24 bomber was shot down by the Turks in Syrian airspace, just one kilometer from the Turkish border. “We moved out just 15 minutes after we got information that the Turks had downed our aircraft. The area was between Durin and Turkmen heights, where fierce shootouts have been taking place. We scrambled three [Mi-8] helicopters which headed for the probable crash site,” a source close to the rescue operation told RIA Novosti. When approaching the site the incoming helicopters came under heavy fire from terrorists. Two Russian choppers had to return to base, while one crash-landed under mortar shelling with crew and 12 Marines on board. One Marine, Aleksandr Pozynich, was killed in action as he left the chopper to find cover from mortar shelling from a nearby hilltop. 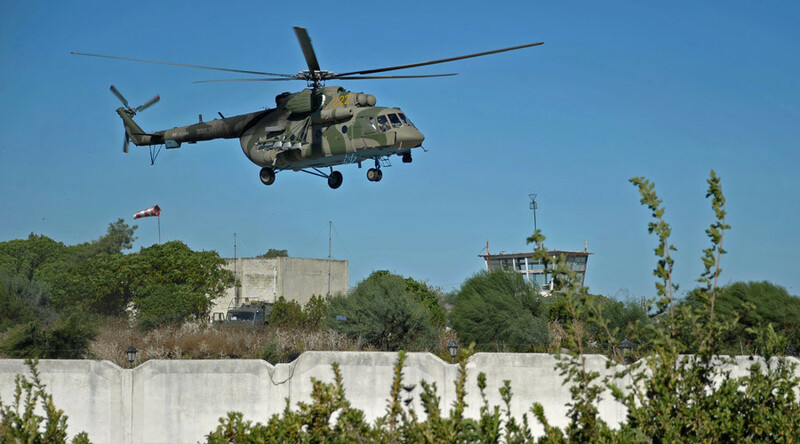 An on-the-spot video shot by reporters from ANNA-News who were in the area shows the Mi-8s and the dramatic moments the Russian Marines came under fire and escaped the landing site. Their chopper blew up after being hit by an anti-tank rocket launched from the ground. Another video of Syrian rebels allegedly firing at a Russian-made helicopter on the ground has been posted on a YouTube channel associated with the Free Syrian Army’s (FSA) 1st Coastal Brigade. Syrian military who were nearby rushed to help the Russian Marine, covering the group from three sides. The Syrians came “right on time,” says the source, and managed to extract the Russian troops from under fire. Murakhtin, who won the Top Navigator award at Russia’s biggest military flying competition last year, said he will ask to return to duty as soon as he is declared fit by doctors. “I must pay back the debt for my commander,” he said.